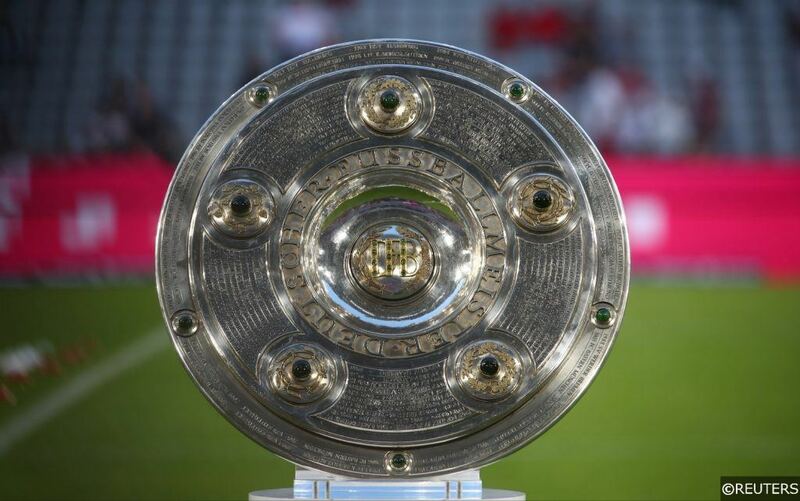 Friday marks the end of the winter break in the Bundesliga and with it resumes one of the most interesting title races the German top flight has seen in years. For a few teams, things haven’t gone entirely to plan. For others, things have gone better than expected. And for betting, this makes the Bundesliga well worth another look for some mid-season value. We did our initial pre-season Bundesliga predictions back in August and added to that with a 9/2 prediction on Borussia Monchengladbach just a few games into the season. Six of these eight bets look in reasonable shape and now we’re ready to deliver even more outright predictions if you missed out on those! Remember, you can stay up to date with all of our predictions, betting tips and match previews on the German top flight on our Bundesliga homepage. Borussia Dortmund hold a six-point lead at the top at the half-way mark of the 2018/19 Bundesliga campaign and fans around the world will be starting to question whether this is finally the year that Bayern Munich’s title-winning run will come to an end? Beneath them, Borussia Monchengladbach, RB Leipzig, Wolfsburg, Eintracht Frankfurt, Hoffenheim, Hertha Berlin and Bayer Leverkusen are all within nine points of each other and battling it out for European qualification. 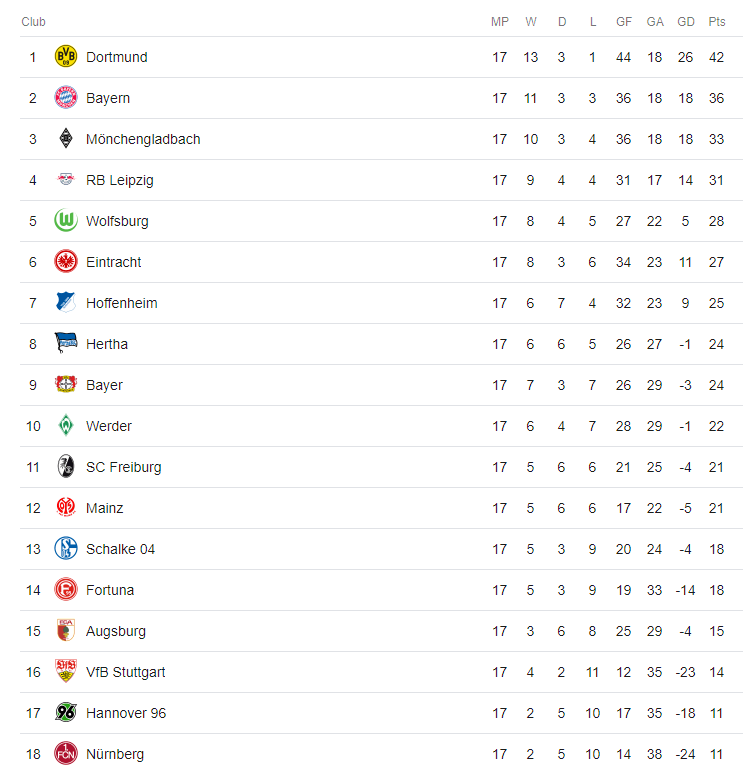 Towards the bottom of the table, Nurnberg and Hannover have seen themselves fall away from the rest of the pack, but Stuttgart, Augsburg, Fortuna Dusseldorf and even Schalke can’t count themselves out of the relegation battle just yet. Dortmund may have a six-point head start on Bayern Munich going into the second half of the season, but there are a few reasons why we feel the Bavarians can close the gap by May. First off, it’s important to highlight that on points Bayern is having one of their worst ever starts to a season – and their worst since 2010 under Louis van Gaal, in fact – but even so are still very much in the chase for the title – that says something about their quality. Bayern also lost the away trip to Dortmund earlier this season – a 3-2 defeat – and crucially still have the home leg yet to play. Should Bayern win that game at the Allianz Arena, they have 16 fixtures to make up what would then be just a 3 point deficit. Dortmund’s scoring numbers in front of goal, while steady, are also on the decline and their recent slip up against relegation-battling Fortuna Dusseldorf – a 2-1 defeat – ended their unbeaten run and could knock their confidence. Bayern’s only defeats this season have been against sides vying for Europe (Dortmund, Gladbach and Hertha). Niko Kovac’s men are also top of the rankings for xG (expected goals scored – 39 to Dortmund’s 32) and xPTS (expected points – 38 to Dortmund’s 33), while also boasting a better xGA record (expected goals against – 15 to Dortmund’s 19). All of which is to say that the Bavarians are “unlucky” not be top of the table over Christmas. Finally, a tricky Round of 16 Champions League tie with Liverpool could see them out of the competition by mid-March, which would give them eight matches to focus solely on a strong Bundesliga finish. 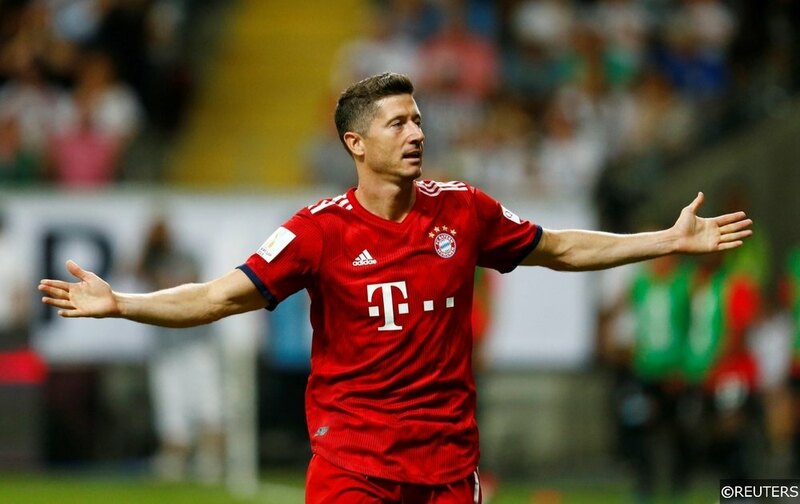 Bayern Munich’s Robert Lewandowski was the big favourite for the Bundesliga’s “Golden Boot” – or the “Goalscorer Cannon” as it translates from German – going into the 18/19 season and remains so at the half-way mark, albeit now at a better price! He currently stands two goals behind top scorers Paco Alcacer (Dortmund – 12 goals) and Luka Jovic (Eintracht Frankfurt – 12 goals) in one of the most open top goalscorer races we’ve seen in quite a while… but it’d be hard to bet against him even if he was further behind. Bayern’s resurgence in December saw Lewandowski net three goals from his last four outings and if he had anything to prove then take note that he’s already scored a brace against one of the best defences in the Bundesliga this term – former club Dortmund. He’s immune to squad rotation, on penalties, and the lone striker of a team with tonnes of creative quality to assist him. It’d be very reasonable to expect him to score more than 10 in the second half of the season. Alcacer and Luca Jovic are, however, outputting unsustainable numbers. Alcacer has made his name as a “super-sub”, scoring 10 of his 12 goals off the bench, while Jovic’s numbers are inflated by one five-goal haul in a single game against Dusseldorf back in October. 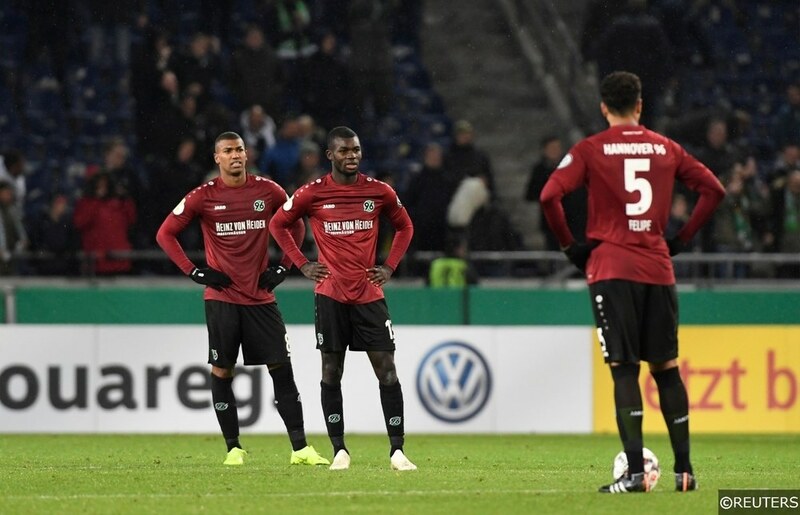 We predicted Nurnberg and Hannover to get relegated before the season began – the former is now 1/8 odds – and we like a further bet on the latter even more 17 games in. Andre Breitenreiter’s men have won just two matches so far and they’re currently four points off safety. Even with a few incoming loan players and an early return to training, the road to redemption looks tough because it’s hard to see which teams above them could do worse. Stuttgart have been improving under new boss Markus Weinzierl, Augsburg’s decline correlated with their month without Alfred Finnbogason who is now back from injury, and the resurgent Fortuna Dusseldorf have proven their worth by beating Dortmund and drawing away to Bayern already this season. And if the cards weren’t stacked against them enough, they’re going to have to do the improbable without their 17/18 top scorer Niclas Fullkrug (14 goals – joint third in the Bundesliga last season), who is ruled out with a knee injury until the summer. Categories: Betting Odds, Betting Strategy, Blog, Football, Free Tips, and Season Outright Tips. 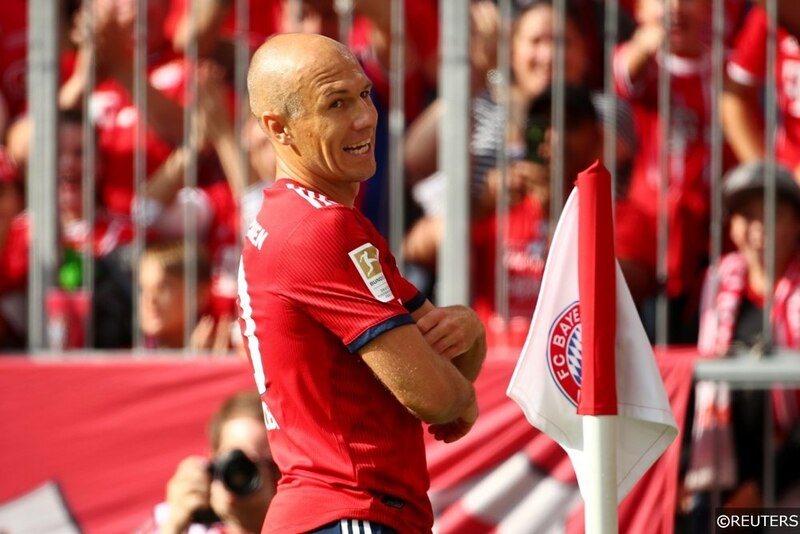 Tags: Bundesliga Betting Tips, bundesliga outright tips, bundesliga predictions, bundesliga relegation tips, bundesliga top scorer tips, German Bundesliga, and Robert Lewandowski. Team Tag: bayern munich, Borussia Dortmund, and Hannover. League: German Bundesliga. Sports: Football.